John Cantlie, a British journalist who was taken hostage in Syria in 2012 and appeared in a number of ISIS propaganda videos during his time in captivity, is believed to be alive, UK Security Minister Ben Wallace said Tuesday. Wallace told a briefing in London for international reporters, attended by CNN, that the British government believes Cantlie is still being held by ISIS. Cantlie, an experienced war photographer, was covering the Syrian conflict when he was abducted alongside American journalist James Foley, who was later beheaded by ISIS. Asked generally about British hostages around the world, Wallace said the UK does not pay ransom and discourages other countries from doing so. Wallace named Cantlie as the most public and prominent British hostage, and when asked directly if the belief is Cantlie is still alive, he said yes. Wallace would not elaborate or say whether Cantlie is thought to be in the rapidly-diminishing area still held by ISIS. Since his capture, Cantlie has appeared in ISIS videos dressed as a prisoner in an orange jumpsuit, and filmed in the style of roving foreign correspondent reporting from the streets of the so-called caliphate. 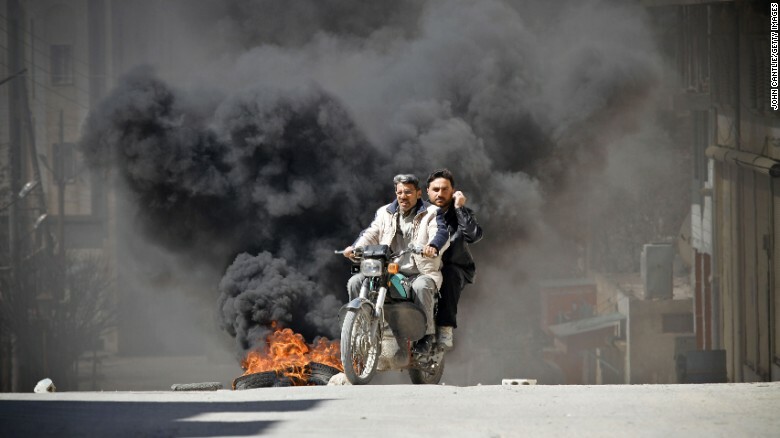 A photo taken by John Cantlie of citizens fleeing clashes in Saraqib, Syria, in 2012. After beginning his career as a motorcycle journalist, Cantlie covered some of the most dangerous conflict zones in the world, including Iraq, Afghanistan, Somalia, Libya and Syria — where he was kidnapped twice. Cantlie was first captured in July 2012, along with Dutch photojournalist Jeroen Oerleman. They made an unsuccessful attempt to escape, before being rescued by members of the rebel Free Syrian Army a week after they were held. Speaking to the BBC after his return, Cantlie recalled fearing for his life. “When you are held captive, you’ve got a blindfold on, you’ve got a guy sticking a gun in your head, it is very real. It was inferred that we would meet our God, were we ready to meet God, that we had sown the seeds of our own destruction,” Cantlie said at the time. Cantlie returned to Syria in November 2012 to continue his reporting on the conflict there. A photograph taken by Cantlie of Syrian regime jets dropping bombs over Maraat al-Numan appeared in the UK’s Sunday Telegraph, among others, that month. 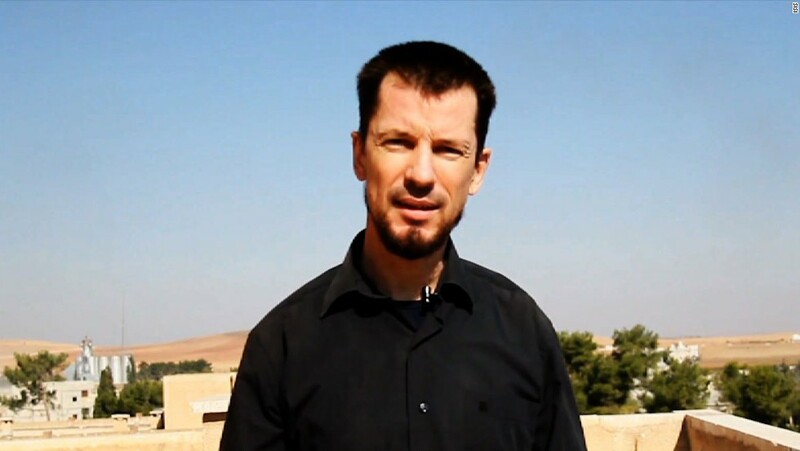 John Cantlie appears in a 2014 ISIS video described as filmed in Kobani, Syria. Shortly after taking that photograph, Cantlie was kidnapped again by jihadists, who would eventually transfer him to ISIS. Cantlie was not seen until two years later, when he was pictured in an ISIS propaganda video, addressing the camera face-on in an orange jumpsuit. Cantlie was used by the terror group in over a dozen propaganda videos, apparently under duress. In his last appearance in December 2016, a bearded Cantlie appeared skeletal — a helmet casting shadows over his gaunt face. His family and supporters have issued multiple video appeals for his release.